From #MALcasestudies series author Lori Emerson: This week's post features Matthew Kirschenbaum, a scholar whose work in digital forensics and media archaeology as well as his role in running the collection of vintage computers at the Maryland Institute for Technology in the Humanities (MITH) has long been a model for my own work. Kirschenbaum's post below on George R.R. Martin and WordStar not only echoes perhaps even more pointedly my assertions in previous posts about how narratives of technological progress are largely works of fiction; but it is also a powerful testament to how the media archaeology approach is relevant far beyond the confines of academia and media studies. This is the fourth post in the #MALcasestudies weekly blog series. Catch previous posts #1, #2, and #3. WordStar runs on a Kaypro 4 at the Maryland Institute for Technology in the Humanities. Author George R. R. Martin uses WordStar to write his Game of Thrones novels. Following fast upon a week of digital archaeology extravaganzas that included the Atari E.T. dig in New Mexico, the recovery of Andy Warhol’s computer art from his early Amiga floppies, and even NASA’s restoration of high-resolution lunar imagery consigned to backup tapes since 1966, came the news: George R. R. Martin writes the Game of Thrones novels on a DOS-based machine disconnected from the Internet and lovingly maintained solely to run . . . WordStar. In conversation with Conan O’Brien, Martin dubbed this his “secret weapon” and suggested the lack of distraction (and isolation from the threat of computer viruses, which he apparently regards as more rapacious than any dragon’s fire) accounts for his long-running productivity. And thus, as they say, “It is known.” But the truth is this was no particular revelation, as Martin’s devotion to WordStar had been documented elsewhere before. In fact it still enjoys something of a cult following among science fiction and fantasy authors, including also the Hugo- and Nebula-winning Robert J. Sawyer. 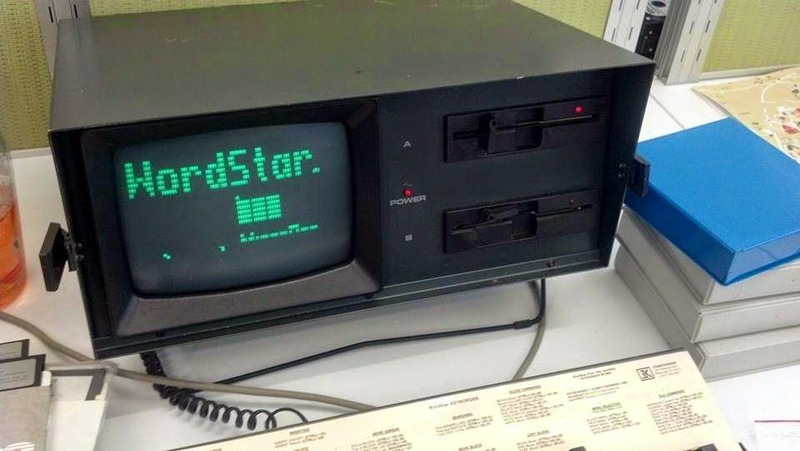 The brainchild of programmer Rob Barnaby and MicroPro’s Seymour Rubinstein, for the first half of the 1980s WordStar dominated the home computer market before losing out to WordPerfect, itself to be eclipsed by Microsoft Word. Originally a CP/M application that was later ported to DOS, WordStar was the software of choice for owners of the early “luggables” like the Kaypro computer and the Osborne 1. Writers who cut their teeth on it include names as diverse as Michael Chabon, Ralph Ellison, William F. Buckley, and Anne Rice (who also equipped her vampire Lestat with the software when it came time for him to write his own eldritch memoirs). Media Archaeology Lab, also runs WordStar. Technological time is a curious thing: after all, WordStar runs no less efficiently and behaves no differently in 2014 than it did in 1983, yet we have been conditioned to assume that the intervening years must somehow entail a corresponding dilution of performance and experience. Jonathan Sterne documents this phenomenon when he notes the radically compressed chronology of a “new” computer’s transition to the purgatory of the merely “useful” thence to the threshold of obsolescence, beyond which it is a candidate for replacement. Computers, he argues, are thus “new” media only with respect to themselves: the next generation of must-have hardware upgrades and feature bloat is what preserves the aura of novelty the industry demands for its self-perpetuation. You’re running WordStar in 2014? You must be a Luddite, or at the very least a curmudgeonly author of high fantasy whose success allows you to indulge your eccentricities! Such is the extent to which what Lori Emerson deftly terms reading writing interfaces have been commodified, and that very commodification assimilated as normative—a trajectory her book documents in the most compelling terms. Writers’ responses to writing technologies have always been equal parts intimate and uncompromising, and word processing is no different in this regard. Media archaeology in particular teaches us that the profound sense of disconnect or dissonance articulated by the student above is no more or less normative than WordStar’s continuing appeal is to George R. R. Martin. Both WordStar and Microsoft Word are material technologies against which we manufacture an ongoing array of haptic, affective, and cognitive engagements. My own work on my book Track Changes: A Literary History of Word Processing (manuscript to be delivered to my publisher later this year) reconstructs and recovers the histories of such engagements with respect to a number of authors and their computers—in the context of which, George R. R. Martin’s now widely known affinity for WordStar is merely one good story among many. 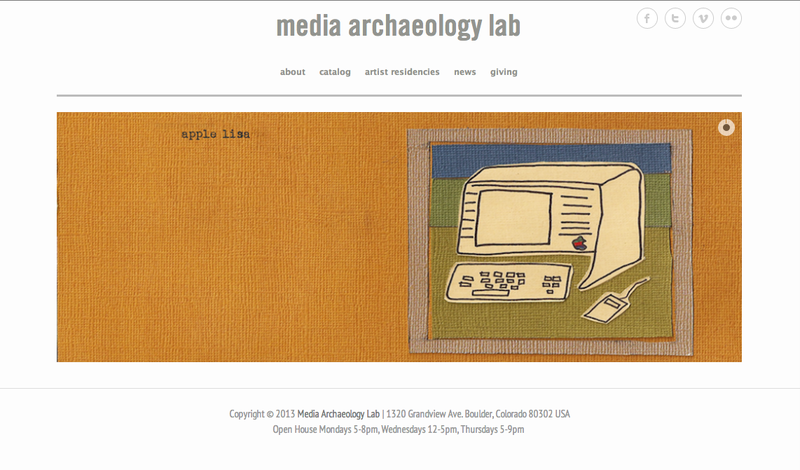 Case Study 1: Introducing the Media Archaeology Lab. Case Study 2: The Altair 8800b from 1976. Case Study 3: The Vectrex gaming console from 1982.
and its portability, among other features. #MALcasestudies is a weekly blog series featuring treasures that exist in the University of Colorado at Boulder's Media Archaeology Lab. Check out parts #1 and #2. This week I'd like to use the Vectrex gaming console, housed in the Media Archaeology Lab (MAL), as an opportunity to return to a point I made in last week's post: that 'technological progress' is a fiction we find next to impossible to see as fiction rather than reality. And more, it just so happens that even those who understand the former is a fiction often recite in the same breath urgent warnings against technological determinism—we don't want to advocate for the metanarrative of progress and neither do we want to give too much (or any) agency to our machines, or so the logic goes. That is, in media studies it's fairly common to decry 'technological progress' and 'technological determinism' in the same breath, usually allowing both to stand in as facts that require no further explanation. (It's not too difficult to think of my career in media studies as one punctuated with bi-annual warnings or accusations of technological determinism by reviewers, colleagues, and audience members.) But while we all agree so easily and so quickly that narratives of progress are 'bad' and 'wrong', why exactly is this the case? Don't we all prefer our small, sleek, smartphones to the mobile phones of the 80s that meant you had to carry around a heft briefcase to make a call? Who in their right mind would want to use a Commodore 64 with a cassette drive instead of any number of the ultra powerful, reliable contemporary devices we have to choose from? More, at the same time as technological progress seems to be a given, bizarrely, it seems it's equally important to make sure we constantly assert that culture is in control of these machines at all times—to say that we are not responsible for these smart, small, sleek machines, and that these machines actually "determine our situation," is heresy. In other words, inside academia the two concepts are all too often loci for the unthought while outside of academia, the widespread belief in technological progress and the concomitant fear of technological determinism are equally unthought. Somehow life inside and outside the academy have come to mirror each other. The MAL, however, has been tremendously useful to me, in both my teaching and my research, as a means by which to escape this mirroring that leaves us flip-flopping between two equally fictional extremes. Particular machines in the lab such as the Vectrex clearly demonstrate not only that there are certain affordances to this gaming console from 1982 that we no longer have access to but also that this machine does in fact affect, even determine, what and how we think and create. While it was only produced for two years—first by General Consumer Electronics and then by Milton Bradley, leaving the market shortly after the video game crash of 1983—the Vectrex is remarkable for its lightpen (packaged in a felt marker casing), its portability (it weighs less than ten pounds—a fraction of the weight of other luggables coming on the market at the same time), its refusal to build on to the television set and the keyboard as a way to make users feel more comfortable with its newness, and also for the way it was a miniature version of a vector-based arcade machine. As I explain to visitors to the MAL, vector graphics basically means that images appear on screen as lines between point. Among many other capabilities, this means that with the lightpen and a cartridge such as Animaction, one can create (and save!) fairly complex animations in a matter of minutes. 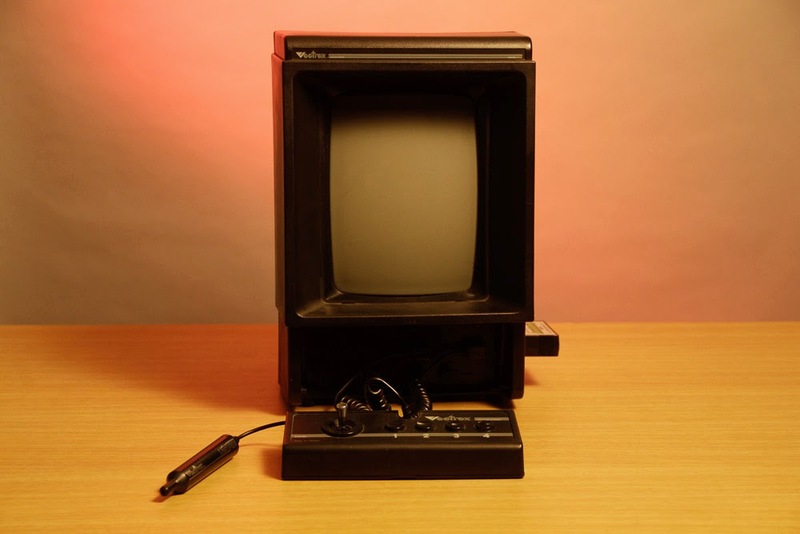 Think of the months it can take to master creating animations using ActionScript or HTML5—by comparison, why wouldn't we see the Vectrex as better? Or as a profound disruption to the narrative of technological progress? Or, given the way the machine demands a predominantly vertical engagement from its users in contrast with the horizontal interactions demanded by tablets with styluses that attempt to masquerade as paper and pen, or the vertical and horizontal engagement demanded by the keyboard/screen/mouse, why wouldn't we say that the Vectrex deeply affects what and how we create? In short, the Vectrex is a machine we can use to clearly explain the unreality of technological progress while pointing to the inanity of warnings against technological determinism. 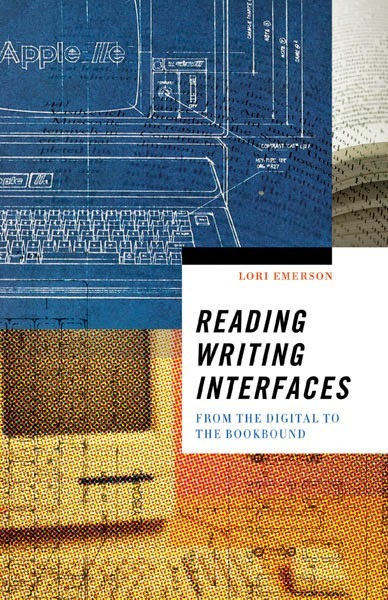 Lori Emerson is author of Reading Writing Interfaces: From the Digital to the Bookbound, soon forthcoming from University of Minnesota Press. She is assistant professor of English, as well as the founder and director of the Media Archaeology Lab, at the University of Colorado at Boulder. Archaeology Lab (MAL) at the University of Colorado at Boulder. 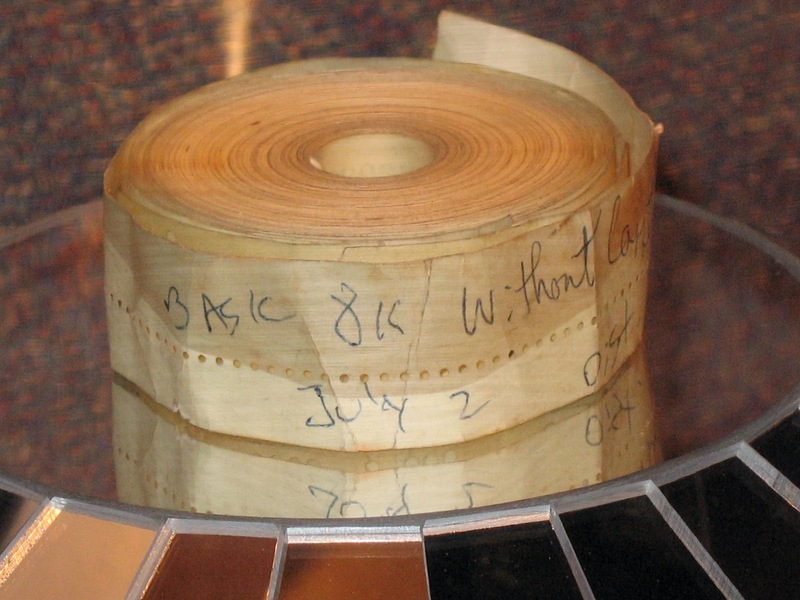 #MALcasestudies is a weekly blog series featuring treasures that exist in the University of Colorado at Boulder's Media Archaeology Lab. The series launched last week. In last week's blog post I wrote that the Media Archaeology Lab (MAL) gives me direct, hands-on access to the variantology of early computing—to a way in which I can uncover the new in the old and discover genuine alternatives to the nearly complete hegemony of today's standardized devices. Quite in opposition to an ideology of computing that touts devices whose interfaces are "natural," "seamless," "invisible" and only get better and better because they "just work," machines in the MAL are unsettling, sometimes even alarming, disruptions to this story we're told over and over again. Digital computers are getting better and better only if our defining criteria is speed—but what of the myriad other criteria for a useful device such as whether it is open, extensible, modular, etc.? The MAL's Altair 8800b from 1976 computer is precisely such a disruption to our sense of what could have been and even of what could still be in computing—a world in which we understand and have access to our machines from the level of on and off, 1s and 0s. When I was in junior high school, I discovered computers and girls at about the same time. I liked a girl named Suzanne who lived up the block from my house. We were both honors students so we hung out some, in that big-group thing that 7th graders do. I was probably a confused 7th grader—I liked Suzanne, but I also liked a girl named Karen and another girl named Whitney. But I also had an Apple II, which I got when I was 13, and liked it a lot also. Suzanne's dad was an engineer. I can't remember with whom, but he had an Altair in his garage that he played with a lot. Once when I was over at her house—before I had an Apple II—I went into the garage and watched over his shoulder as he toggled switches. He explained to me what he was doing and I vaguely remember a HiLo game playing out on the red LEDs on the front of the Altair. Karen's dad was also an engineer—he worked for National Semiconductor. He had an early Fairchild VES, which we played with all the time. It was more interesting than the Altair, but the Altair stuck in my mind. A few years ago, I decided I wanted an Altair. So I went on eBay and bought one. And now it's yours. These wonderful anecdotes that donors carry around with them are almost always about the particularities of the social life surrounding their machine. Can we say the same thing about our contemporary laptops or e-readers? Will we one day be reminded of how we used our MacBook Pro to impress girls? Or used our Dell desktop to compete with our siblings? Or how our computers were stationed in the kitchen or the family room like a television set or a stereo—as a device around which we gather, share, and learn? The community the Altair appealed to in 1975 and 1976 was the tinkerer, the hobbyist who might have started out building shortwave radios from a kit of transistors or vacuum tubes and now, for the first time, could build a powerful minicomputer from a kit. Not surprisingly, then, as I found in the early pages of the Altair manual, there was such a thing as an Altair User's Club, which had a newsletter and was used to share programs with other members of the Altair community. in the three-ring binder for the Altair 8800 manual. programs that can be easily distributed to others. then, ideally, share, their own programs. In fact, the significance of the Altair is almost always attributed to the fact that Bill Gates' and Paul Allen's first Microsoft product was Altair BASIC, which was such a hit with hobbyists whose culture was one of open sharing that Gates became one of the first to accuse the hobbyists of theft. 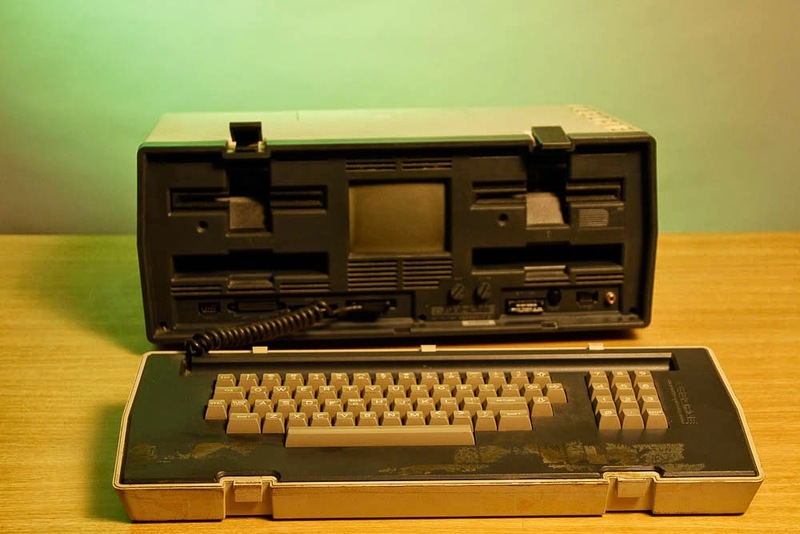 However, the Altair was perhaps more important for how it was a catalyst for the "personal computer revolution" that began in the late 1970s as the machine appealed to more than just hobbyists. MITS founder Ed Roberts (MITS is the company that manufactured Altairs) recalls: "there was a dentist in Chicago who was one of our very first customers. He wanted to use the Altair to control a massive model railroad. And that was a real eye opener to us that people were coming up with applications and ideas that we had never even imagined ... [Also] the guy who did some of the special effects for Star Wars, or I believe Star Wars, came out to MITS and bought some equipment. I can't remember his name. Lets see, we also sold stuff to the Secret Service, the FBI and the CIA. They were bought up by all kinds of people." Charmingly and not particularly profit-motivated, MITS offered a "kit-a-month plan" that allowed consumers to purchase an Altair computer in monthly installments whereby they received components in exchange for their payments. "There are no financial charges because we have made each monthly shipment a kit in itself. This will give you time to read up on computers and/or gain knowledge from friends." The point of the Altair seemed to have been only marginally for profit—it was instead a means by which to draw people into the small but growing community of hobbyists. Now, some details about the machine itself: the Altair 8800 was introduced as a kind of portable mainframe computer—more precisely, it was the first affordable minicomputer—in 1975 for as little as $395, and it has since been widely heralded as the catalyst for later personal computers. Produced in Albuquerque, New Mexico, a year later in 1976 as a kit for $840 and assembled for $1,100 (this would be roughly $3,488 and $4,568 in 2014), the Altair 8800b was remarkably affordable, considering that it came with a staggering 64K for addressable memory and an eighteen-slot motherboard. Users interact with the Altair via a set of eight switches that correspond to eight different data lines that transfer data to the CPU; up is 1, down is 0. Given that it did not come with a keyboard or monitor (you could, however, buy these as peripherals for the 8800b, a slightly later model), the output is a set of eight red LED lights that correpond to the switches. What beautiful simplicity. The contrast with our contemporary, slick, closed devices couldn't be more stark as here, we finally have some basic experience of the fundamental operations of a computer. As Ed Roberts puts it, their goal was to create "a real, fully operational computer that was fully expandable and at least in principal could do anything that a general purpose minicomputer of the time could do." The Altair may not be fast, but it certainly is a fascinating reminder of what computing once was, and perhaps even could be again. The Media Archaeology Lab, hosted at the University of Colorado at Boulder and founded by Lori Emerson, is a space for cross-disciplinary experimental research using still-functioning but obsolete tools from the past. Visit it here. I'm very grateful to the University of Minnesota for this opportunity to blog, over the coming weeks, about machines housed in the Media Archaeology Lab (MAL)—ones important to the history of personal computing from the 1970s through the 1980s—that I find are particularly revealing. For, in fact, an implicit and foundational back-drop to Reading Writing Interfaces (RWI) is the MAL. Founded in 2009—one year before I had even conceptualized the shape and scope of RWI—and part of the University of Colorado at Boulder's Department of English, the MAL gives students, scholars, and members of the general public access to obsolete, functional media from the early twentieth century to the twenty-first century for hands-on research, teaching, and research creation. In this regard, the MAL is unique. Perhaps most importantly and broadly, the MAL turns the concepts of "archive" and "museum" inside out in the interests of disrupting two interrelated, cultural tendencies: a) the tendency to create neat teleological arcs of technological progress that extend from the past to the present and b) the tendency to represent such arcs through static exhibits that display the outside and surfaces of these artifacts rather than their unique, material, operational insides. As I write in the introduction to RWI, without having the ability to directly discover what one might call the 'variantology of early computing,' without experiencing what it's like to operate a computer that pre-dates standardized interfaces (working through, for example, the non-obvious differences between a Commodore key and Open-Apple and Closed-Apple keys) and whose target audience is the DIYer, the tinkerer, the curious, I would never have understood to the extent that I do now the (equally non-obvious) ideology of the user-friendly, which is a recurring concern throughout the book. The MAL, then, houses most of the computers I discuss throughout, including the Apple II, Apple Lisa, and Apple Macintosh, as well as many early works of digital literature. The Lisa and the Macintosh are particularly important for understanding the history of personal computing and computer-mediated writing for while they were both released in 1983, the shift in interface from the one to the other (and therefore the shift in the limits and possibilities for what one could create) is remarkable. The Apple II series of computers all used the command-line interface and they were also the first affordable, user-friendly, and so most popular personal computers. 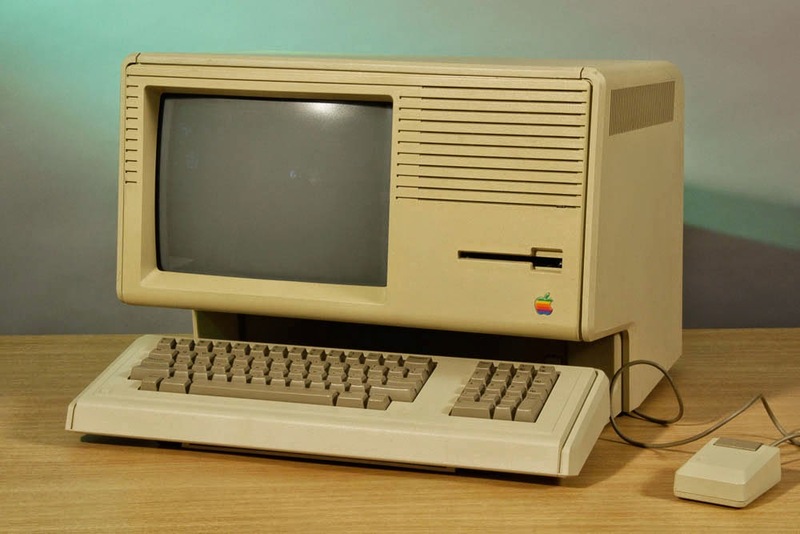 The Apple Lisa, then, was the first commercial computer to use a Graphical User Interface. a graphical user interface. Photo by Diane Lynn Bullock. However, I have come to recognize this sort of research is only one of the practices the MAL affords its interlocutors. I have come to understand it as a sort of "variontological" space in its own right, a place where, depending on your approach, you will find opportunities for research and teaching in myriad configurations as well as a host of other less clearly defined activities made possible by a collection that is both object and tool. The MAL is an archive for original works of digital art/literature along with their original platforms. It is an archive for media objects. It a site for artistic interventions, experiments, and projects via MALpractices (residencies for artists and writers to, first, work and experiment directly with our materials, and second, exhibit or perform their work either in the MAL or at a Colorado-based museum or gallery), MALware (our on-demand publication that documents events, MALpractices, and interdisciplinary thought taking place in and through the lab), and MALfunctions (monthly events for entrepreneurs, hackers, activists, academics, artists and designers that act equally as a hackerspace, makerspace, or straightforward venue space as a way to express the MAL's extraordinary configurability). From the perspective of the university, it is a flexible, fluid space for practice-based research from a range of disciplines including literature, art, media studies, history of technology, computer science, library science, and archives, and it is an apparatus through which we come to understand a complex history and the consequences of that history. From the perspective of the private sector and local tech/startup companies, the MAL offers a range of past solutions for present problems. It also offers these companies a compelling argument against planned obsolescence, as many of the machines in the lab are more than 35 years old and not only function perfectly, but also make possible certain modes of interaction and creation that are not possible with contemporary digital computers. Stay tuned for next week's blog post, which will be on our oldest, still functioning computer in the lab, the Altair 8800b from 1976, and its incredible capacity to give us access to the machine at the level of 1s and 0s. #2: The Altair 8800b from 1976. #3: The Vectrex Gaming Console from 1982. #4: George R. R. Martin, WordStar, and Media Archaeology in the Media. #5: On OTHER NETWORKS and "the internet."